Designed to speed up recovery after hard workouts and long efforts. The addition of fatty acids not only offers an alternative source of energy but also improves the physiology of your digestive system. A product for a high-intensity activity or the moments when you need an energy spike. Its refreshing taste and light consistency will give you an extra energy boost and make you feel like you are flying through the hills. A well-balanced mixture of complex and simple carbohydrates providing constant energy for an extended athletic performance. 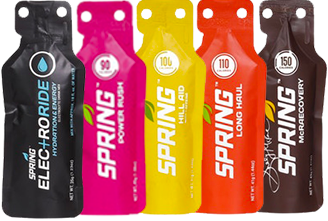 A new generation of 100% natural electrolyte and energy sports drink mix (80 kcal). A new generation of 100% natural electrolyte and energy sports drink mix. No more powder. Just pure ingredients. Amazingly refreshing, magically addictive and full of natural nutrients.